Back in 1991, the eminent political scientist Samuel Huntington pointed out that democratic transitions around the world often come in waves. He pointed to a “third wave” of democratization that began in the 1970s with Spain and Portugal and continued into the 1980s, particularly in Eastern Europe and Latin America. After he wrote his book, this liberal wave seemed only to pick up speed, with transitions in the 1990s in parts of Africa and Asia. Sadly, today we seem to be experiencing an “illiberal wave.” This wave, which has left no part of the world untouched, is not necessarily about a return to authoritarian government. Nor is it about liberalism as commonly understood in American politics. It is broader than both of these. It is about a rejection of the liberal idea – political, social and economic – that has been an important part of political discourse at least since the end of the cold war. This liberal idea embraces free markets, internationalism and tolerance for difference, and it is suspicious of nationalism in both its economic and political forms. While the liberal idea has never been dominant, it has been highly influential, especially among internationalized and educated elites in the West and around the world. But today there is a palpable sense that, perhaps more than at any time in the last 40 or 50 years, illiberalism is on the march. 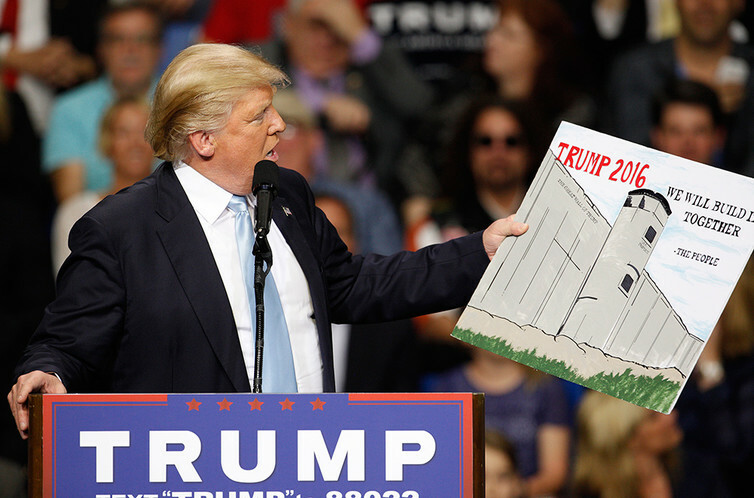 This may be best symbolized by how, a quarter century since one barrier separating Europe crumbled, some are now advocating that we begin building walls once more. If it’s true that economic and political liberalism is on the wane, is there anything we can – and should – do about it? The current rejection of the liberal idea has come in disparate forms and is by no means universal. 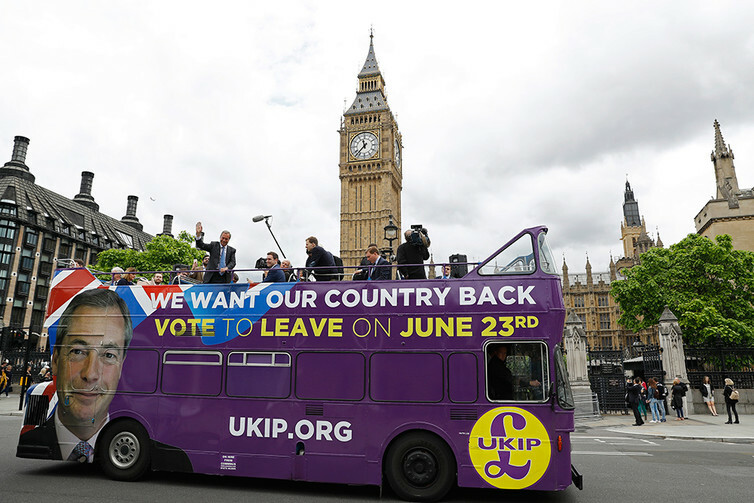 Last week’s Brexit vote in the United Kingdom and Donald Trump’s presidential ambitions in the United States are only the most obvious signs of this new illiberal wave. These two phenomena have much in common. They both indicate that a significant number of Britons and Americans, especially among the native-born working class, have negative feelings about immigration, free markets and social change more generally. These voters feel let down by elites and squeezed by the modern economy, and they believe that they are losing their countries to foreigners and (in some cases) minorities. But, of course, the illiberal wave has not been limited to the United States and Britain. Populist parties are in the ascendant all over the European continent. In France, the far-right National Front is likely to enter the second round of next year’s presidential election. In Austria, the xenophobic Freedom Party nearly captured the presidency. And nationalist parties are gathering steam in Germany, Belgium, Denmark, Hungary and beyond. In Ukraine, we are treated to the spectacle of Russia, itself embracing illiberalism under the increasingly authoritarian rule of Vladimir Putin, annexing Crimea and backing rebels in the east. In Turkey, long a beacon of secular government and progressive Islam in the Middle East, commentators are more and more alarmed at the autocratic behavior of President Recep Tayyip Erdoğan. Nor has Asia escaped the illiberal wave. While India has mostly remained true to its democratic traditions, the current BJP government is cracking down on many citizens, particularly in universities, who do not share its Hindu nationalist ideology. China’s ruling communist party, which has never embraced political liberalism, is in the midst of a particularly severe period of repression. And the Philippines has just elected a populist president who has been accused by human rights groups of advocating the extrajudicial killings of criminals. More seriously, the initial promise of the Arab Spring has disintegrated into military government (Egypt), repression (Bahrain) and civil war (Syria). Indeed, the profoundly ugly Islamic State is perhaps the most manifestly illiberal political movement in recent memory, with al Qaeda and other radical Islamist movements not far behind. Clearly, Brexit, Donald Trump and the Islamic State are very different things. Perhaps this is all coincidence and we are conflating international events that don’t belong together. After all, liberal trends can also be identified in recent years, most notably with LGBT rights expanding in many (though not all) countries. The fact is, we cannot be sure whether the illiberal wave is real. But I suspect that, while Trump and ISIS are indeed very different, the current rejection of liberalism is widespread enough to point beyond chance. What, then, is behind this wave? Obviously, there is no global conspiracy, despite the bizarre theories that sometimes make their way into our Facebook feeds. Instead, we should look to broad changes in the international political and economic system. First among these must be the Great Recession. It is well know that the rise of fascism in interwar Europe was largely the result of two events: the horror of the First World War and the cataclysm of the Great Depression. In a similar (though less extreme) way, the global financial crisis may have created the foundations for the illiberal wave. When people feel vulnerable economically, they are more likely to hunker down with others like themselves and less likely to be open to difference and change. The problems that we see in the Middle East are of a different order from those in Europe or North America, and they have their own distinct causes. That said, illiberal views in the three regions tend to feed off one another, and so they can’t be considered entirely separately. The American invasion of Iraq was a key (unintended) cause of the rise of the Islamic State, and the war probably also contributed to the Arab Spring and the crackdowns that followed. Farther back in time, European colonialism played a role in the political instability that we see in the Arab world today. Conversely, the flood of Syrian immigrants arriving in Turkey and Europe has been a key factor in the rise of xenophobia and illiberalism there, with locals worrying about their cultures being washed away. Likewise, radical Islamist terrorism has made many citizens of Europe and America more afraid of the outside world and more susceptible to the politics of fear. In a similar way, instability in Afghanistan and Pakistan has undoubtedly contributed to illiberalism in India, and the weakening national economy to the crackdown in China. Who will stand up for liberalism? A final cause of the illiberal wave that shouldn’t be ignored is the relative decline of American power. American foreign and domestic policies have not always been a paragon of liberalism. But the United States, in its overall stance, has stood for democracy and free markets and has helped embed these values in the postwar international order. As scholars such as Robert Keohane have pointed out, the decline in America’s relative power portends a reduced ability to enforce the rules of an open world. And America’s weakening position has had the additional effect of making many Americans more fearful of international activism. So, economic recession and political violence are catching, and they breed illiberalism. Without a dominant, active, and liberal America, this illiberalism can more easily catch fire and spread. How serious is this problem, and what can be done about it? First, the existence of international institutions like the United Nations, World Trade Organization and European Union, along with the relative resiliency of the world economy, have prevented a reversion to the 1930s. The negotiated global rules that these institutions enforce make it harder for international cooperation to collapse today as it did back then. In addition, while the illiberal wave is producing some ugly outcomes in the world’s stable democracies, it is unlikely to do permanent damage to their political institutions. Older democracies like the United States and Britain have survived more serious crises in the past. The potential damage is greater in the less institutionalized developing world, particularly in the Middle East. Here, the lack of legitimate political institutions means that the illiberal wave can spread without any checks. Unfortunately, it is not entirely clear how to turn back the illiberal wave. Believers in an open and tolerant international order must make their views known, with their speech, their actions and their votes. Ultimately, in my view, the illiberal wave will pass. In the meantime, we must try to limit the damage.